Åre (Sweden) (AFP) - US ski starlet Mikaela Shiffrin has called Lindsey Vonn's assertion that she could have won, or medalled, in all five disciplines at the world ski championships a "wild miscalculation" and "disrespectful" to other skiers. Vonn, the most successful female skier of all time, will race her final downhill before retirement on Sunday. 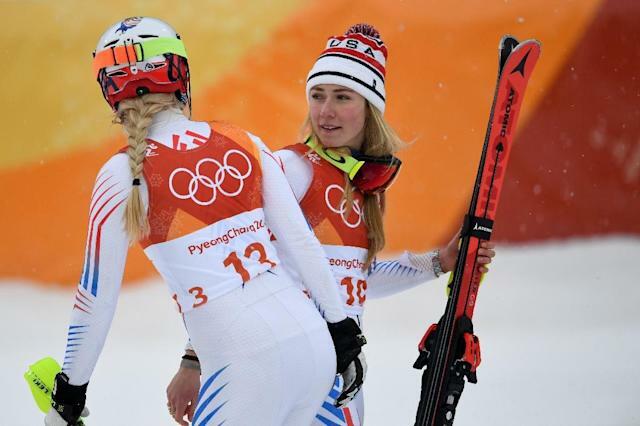 But she stirred up a hornets' nest on Friday by saying she was baffled by Shiffrin's decision to skip the combined event, saying her teammate had "100 percent the capability of getting a medal in all five disciplines". Vonn was joined in her apparent criticism of Shiffrin by Bode Miller, the former American all-rounder who now works as a TV skiing pundit. "I have to say, I'm flattered by some recent comments by Bode and Lindsey saying that they think I would have been a contender in five events this world champs," Shiffrin said in a long instagram post. "However, as the one who has been trying to race in every discipline this season, and who has won in five disciplines this season alone, I can tell you that not a single one of those wins was 'easy'." Shiffrin argued that there was no such thing as an easy win, stressing that statistics and numbers "dehumanize the sport and what every athlete is trying to achieve". "What I see is an enormous mixture of work, training, joy, heartache, motivation, laughs, stress, sleepless nights, triumph, pain, doubt, certainty, more doubt, more work, more training, surprises, delayed flights, canceled flights, lost luggage, long drives through the night, expense, more work, adventure, and some races mixed in there." Vonn said that while she didn't understand Shiffrin's strategy, "she has her goals, so hopefully I'm sure she'll get two golds in giant slalom (GS) and slalom". 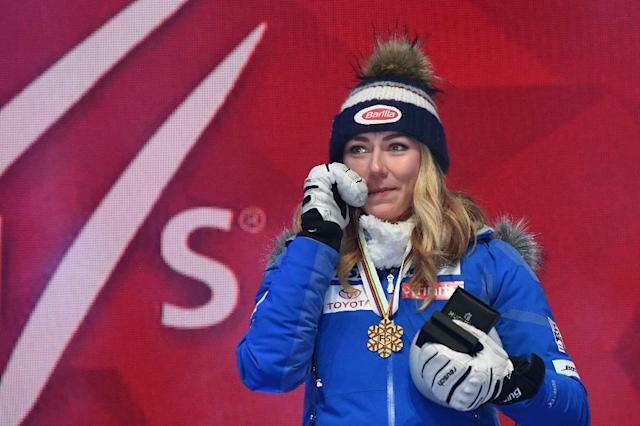 Shiffrin took aim at that in no uncertain fashion, saying: "I don't have the slalom and GS season titles in the bag, and I don't have the slalom or GS world champs medals in the bag either. "The girls are competitive and it's a fight, every single race. Everyone has their sights set on gold, so to think that I could come in and waltz away with four or five medals would be a wild miscalculation and honestly disrespectful to the talent and ability of the other athletes, and how much work they have also put into their skiing." Shiffrin, still just 23, is a three-time world slalom champion and twice Olympic gold medallist. She is also the sole skiers, male or female, to have win in all six FIS disciplines and has already notched up 56 World Cup victories. "I'm still understanding my full potential as well as my limitations. But I have definitely learned not to let hubris dictate my expectations and goals," said Shiffrin. "My goal has never been to break records for most World Cup wins, points or most medals at world champs. "My goal is to be a true contender every time I step into the start, and to have the kind of longevity in my career that will allow me to look back when all is said and done and say that – for a vast majority of the duration of my career – I was able to compete and fight for that top step rather than being sidelined by getting burnt out or injured from pushing beyond my capacity." Signing off to her 739,000 instagram followers, Shiffrin added: "It is clear to me that many believe I am approaching my career in a way that nobody has before, and people don't really understand it. But you know what?! That is completely fine by me, because I am ME, and no one else."